Old houses are notoriously challenging to heat and cool. 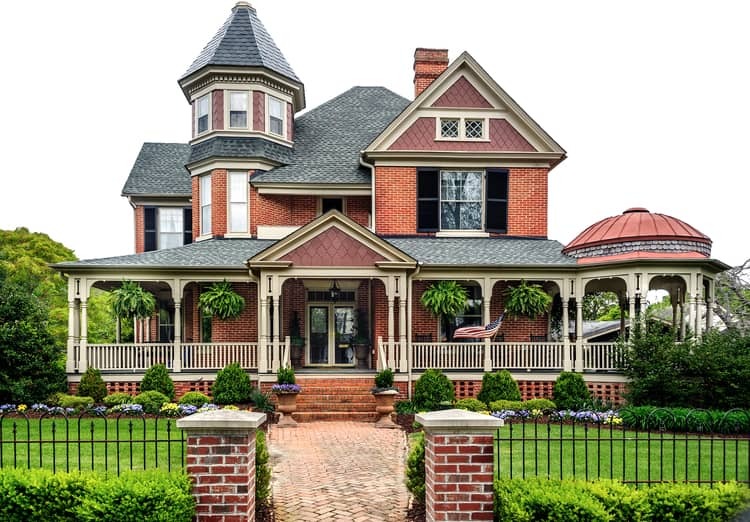 Structural differences from modern homes make efficient heating and cooling difficult to achieve, but enjoying the history and beauty of an older home doesn’t have to mean paying an arm and a leg to stay comfortable! These HVAC options for old houses keep your interiors at the right temperatures throughout the year. Many older houses were built long before air conditioning was standard in the home. Therefore, they lack the infrastructure (ductwork) needed to accommodate modern forced air cooling systems. Therefore, the traditional central air conditioning system is not always the best way to cool old houses. Luckily, there are energy efficient solutions available that work well for an older home’s cooling needs. As a bonus, these systems provide heating as well! Ductwork is most often nestled in the areas of the home we cannot see – if central heating and cooling wasn’t included when your home was first built, it may not have the space necessary to install unobtrusive ductwork to accommodate central HVAC. High-velocity systems use a dedicated HVAC unit connected to the mini-duct system to provide heating and cooling throughout the home. High-velocity systems use mini-ducts, which are much smaller than standard ductwork, so they can be more easily incorporated into the home in many cases. Mini-ducts are approximately three inches in diameter. Because of their smaller size, they may be snaked over ceilings and through walls for installation. Their vents are small, creating less disruption in the interior aesthetics of the home. Another solution to the ductwork dilemma many older houses face is a ductless HVAC system. As the name suggests, these units do not require ductwork installation, making them a best way to cool old houses when ducts are not an option. Ductless mini-split HVAC systems utilize an exterior heat pump connected to interior air handling units which directly distribute conditioned air to the living areas. One exterior unit can support a number of interior air handling units (the capacity depends on the model you select). The interior and exterior components are connected via a line set containing wiring and refrigerant piping, through a small hole in the exterior walls of the home. Interior air handling units are mounted on the wall (either up high or down low) or can be installed within the ceiling of a room, controlled via a remote. A great benefit of ductless HVAC is the zoned heating and cooling they provide – each individual air handler can be controlled independently. Occupants can adjust temperatures just for the space in use, saving energy in unused areas of the home. The cooling solutions mentioned above are also some of the best ways to heat old houses. Another option which may be appropriate for your older home is radiator heating. Many older homes have radiator heating systems in place, as this technology was quite common in the 18th century. Upgrading old, inefficient radiator heating components with new, high efficiency models provides an excellent solution for whole home heating in an older house. 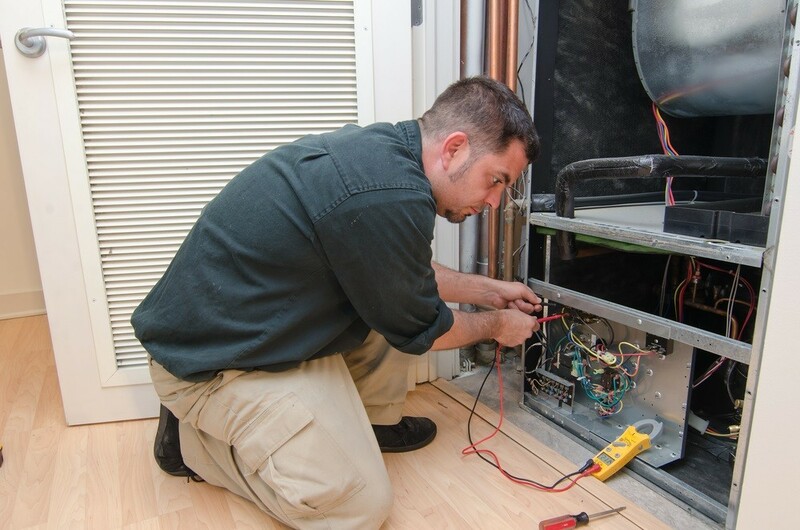 Your HVAC contractor can examine existing components to determine which upgrades are needed and if the old system is still usable. In many older systems, in-room radiator units are often in good condition and can be used with a new boiler to provide heating throughout the home. New modulating-condensing boilers offer better efficiency for hot water radiator heating systems compared to older home heating boilers. These boilers heat only the amount of water needed to provide for the home’s heating needs, rather than heating all the water within the unit at once. This technology provides great energy conservation, drastically cutting energy bills as a best way to heat old houses. Heating and cooling your older home just got easier, with help from HVAC.com! We give you countless resources to help you explore and learn about HVAC options for older homes. To tackle your older home’s indoor comfort challenges head-on, use our HVAC Contractor Directory to connect with local heating and cooling pros. Find an HVAC contractor near you with the services and solutions you need to keep your older home comfortable year-round.